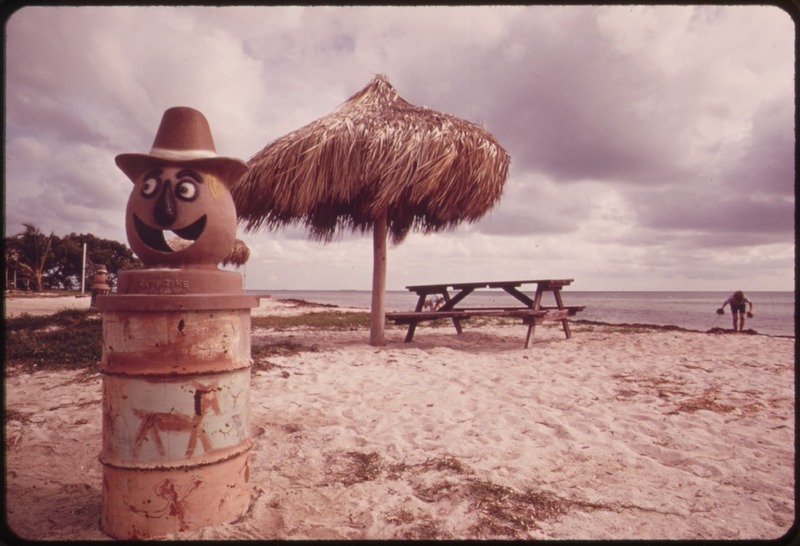 In 1816, Lord Byron challenged his fellow vacationers to a contest. 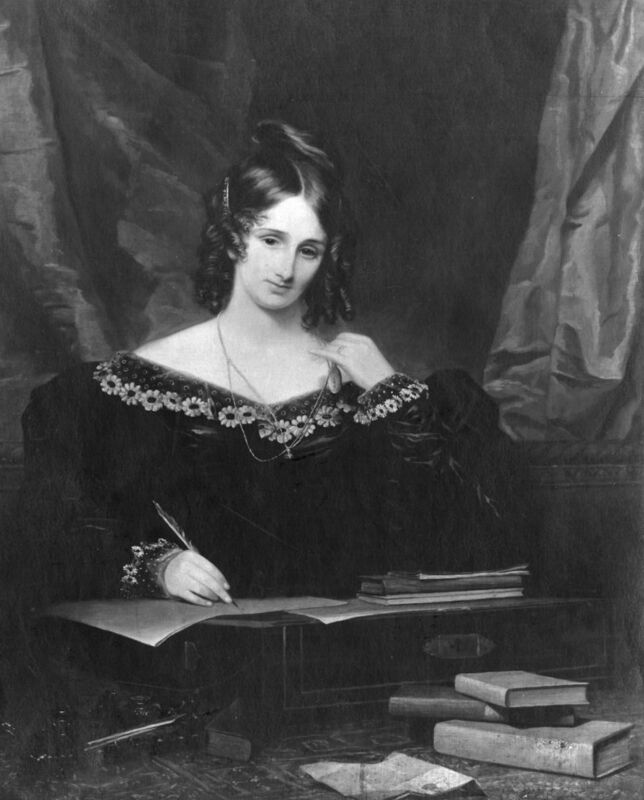 Among the competitors were Mary Shelley (née Mary Godwin), her soon-to-be husband Percy Bysshe Shelley, her stepsister Claire Clairmont, and Byron’s doctor, John William Polidori. Each was expected to write the best horror story she or he could manage. Over the next few days, Mary’s dreams became strange—in her sleep she imagined a man who created new life, only to be haunted by the creature he willed into being. 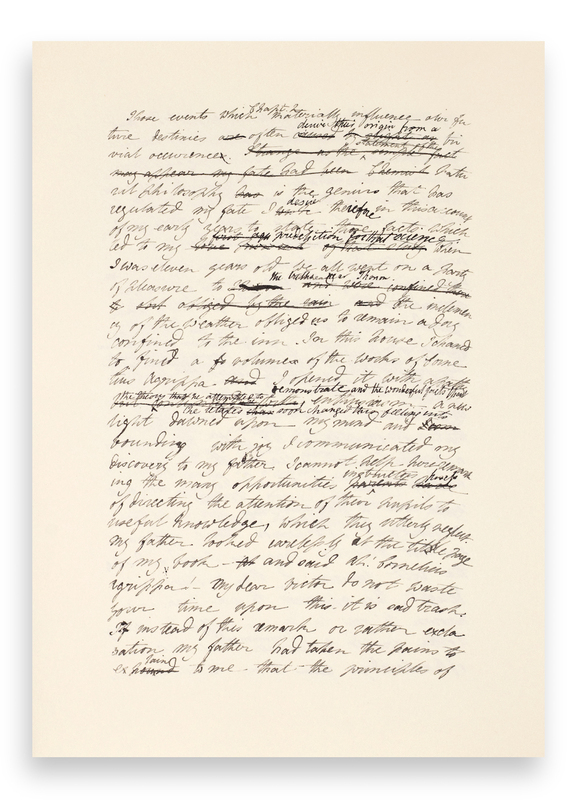 This dream became the basis of her horror story, which in turn became the basis of her now canonical novel Frankenstein. 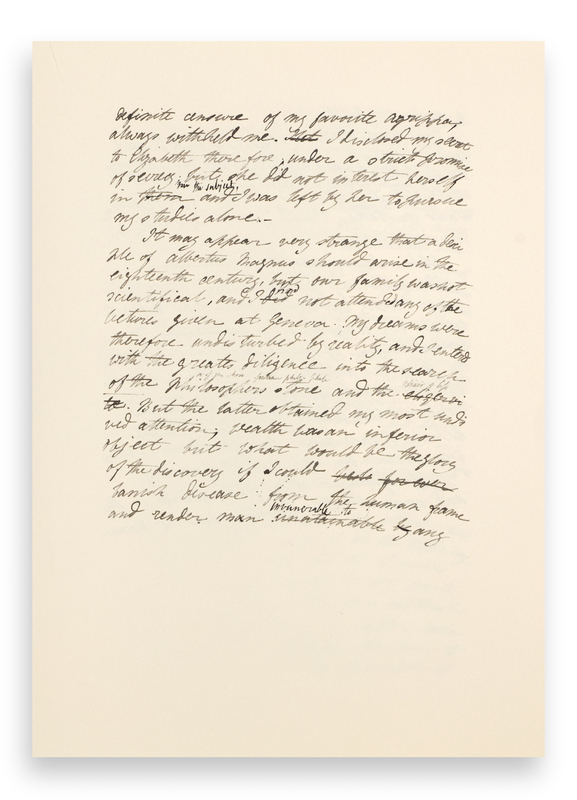 In honor of the two hundredth anniversary of its publication, SP Books has put together a facsimile of Shelley’s original manuscript. 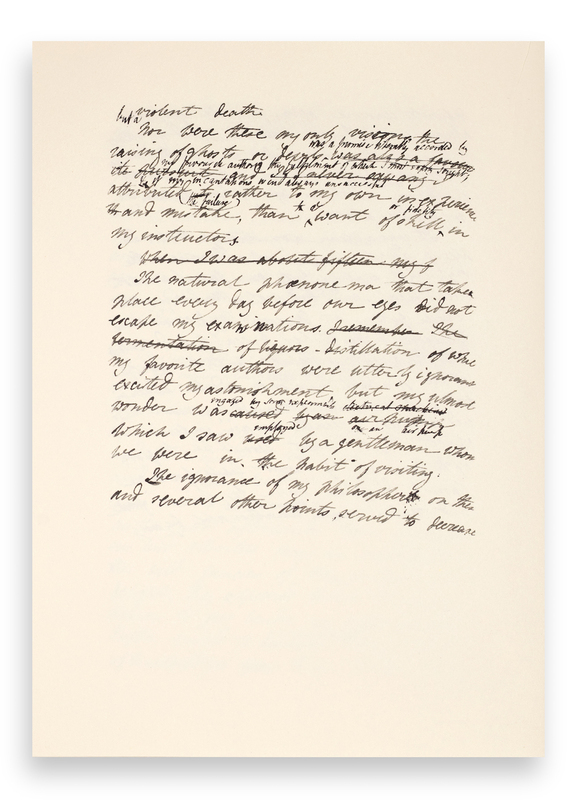 The pages are in Shelley’s own handwriting, and each is riddled with corrections, annotations, and messages for her husband, who also served as her reader. 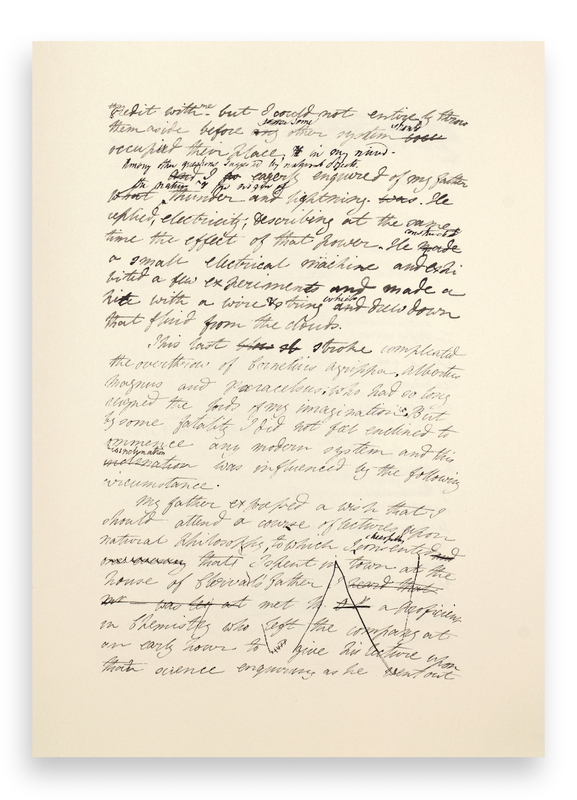 The first five pages of the manuscript are presented below. 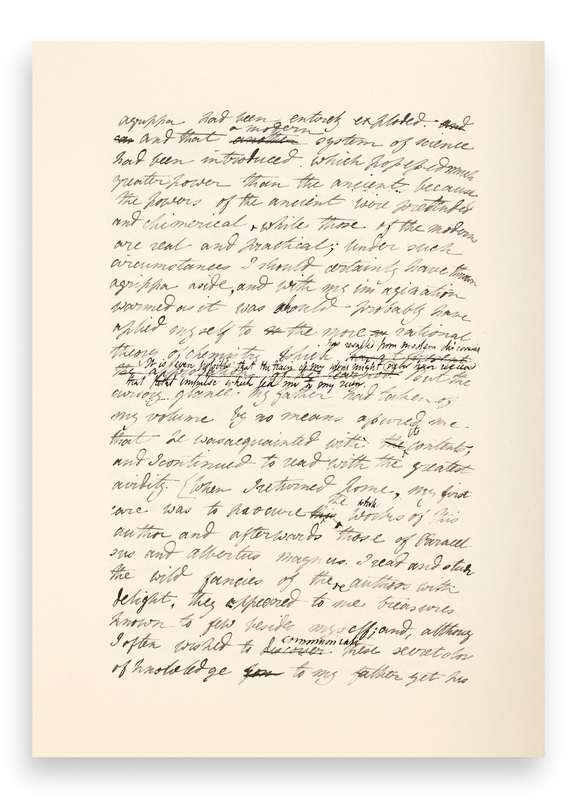 Excerpted from the beginning pages of a new deluxe, limited-edition, slip-case version of the handwritten manuscript of Mary Shelley’s Frankenstein, published by Editions des Saint Pères (SP Books).